UK police have begun to contact a number of Russian exiles to discuss their safety as they investigate the murder of businessman Nikolai Glushkov. The 68-year-old`s body was found at his home in south London on 12 March. The BBC has been told police and the security services have reassessed their view that exiles are at a low risk. Former Aeroflot executive Mr Glushkov was given political asylum in 2010 and the UK had blocked attempts by Russia to extradite him. Police say there is no evidence at this stage linking Mr Glushkov`s death to the poisoning of former Russian spy Sergei Skripal and his daughter, Yulia, in Salisbury on 4 March. 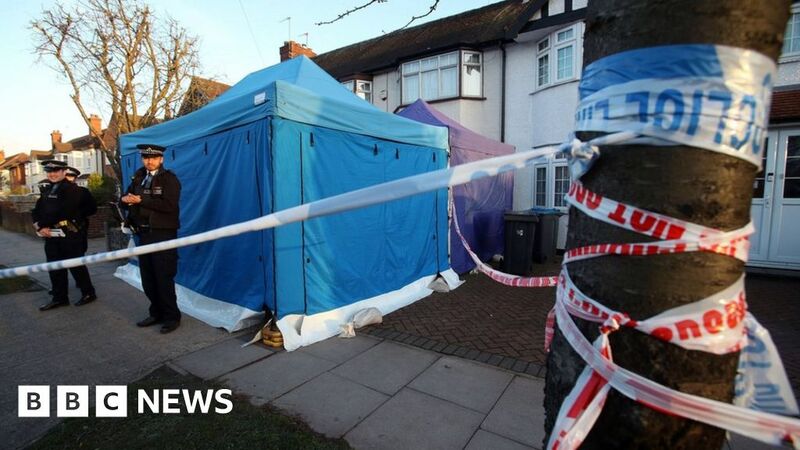 The Metropolitan Police said a post-mortem examination found Mr Glushkov died from "compression to the neck". They said the force`s Counter Terrorism Command would continue to take charge of the investigation "because of the associations Mr Glushkov is believed to have had". Detectives are said to be keeping an open mind and are appealing for any information that will assist the investigation. Friend concerned Mr Glushkov is the former deputy director of Russian state airline Aeroflot. After being given a suspended sentence for another count of fraud in 2006, he was granted political asylum in the UK. He was due to appear in court in London this week. The Russian authorities were pursuing him for more than £100m of Aeroflot`s money. He had also been a close friend of Boris Berezovsky, who also lived in Britain and died in 2013. Both men were critics of President Vladimir Putin. Mr Berezovsky was found hanged in the bathroom of his former wife`s Berkshire home in 2013 and an inquest recorded an open verdict, but Mr Glushkov was said to have been convinced he and other exiles had been murdered. Former PR and advertising executive Lord Bell, who was a close friend of Mr Glushkov, said he was "concerned" his friend`s past might have made Russia consider him to have worked against the state. BuzzFeed News claimed to have evidence of 14 deaths in the UK that were actually murders by the Russian state or mafia allies, including that of Mr Berezovsky. In each of the cases, police investigations and inquests did not find evidence of any crime. Mr Glushkov`s death comes in the same week as Home Secretary Amber Rudd announced that some of the deaths are to be reinvestigated by the police and MI5. Moscow has denied any involvement in the attack on Sergei and Yulia Skrpal, which is being treated as attempted murder. The pair remain in a critical but stable condition in hospital. The UK government says the Skripals were poisoned with a nerve agent of a type developed by Russia called Novichok, and Prime Minister Theresa May said she believed Moscow was "culpable". Mrs May has said the UK will expel 23 Russian diplomats as part of a "full and robust" response - prompting Russia`s Foreign Minister Sergei Lavrov to say Moscow will "certainly" expel British diplomats.